BioThrive Sciences offers a variety of supplements to help promote a healthy lifestyle. We have products to help improve your cognitive function, joint issues, and promote healthy gut bacteria. We also have natural male enhancement products. As men age, testosterone levels start to decrease which can lead to a lack of energy and worsen your mood. We have several specialty products to help you get back to 100%. Learn more about our most popular male enhancement products. Our testosterone supplement is a blend of potent ingredients to promote vitality and vigor in men. 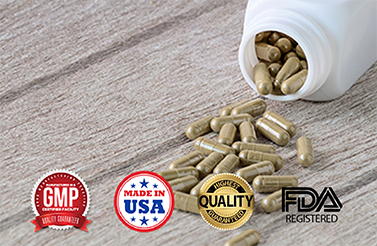 It contains popular sexual health supplements such as horny goat weed extract, tong ali root, wild yam root and saw palmetto fruit. Enjoy a low cost testosterone formula with low minimum order requirements and great discounts for high volume orders. Wild yam root helps activate testosterone and promote healthy sexual vitality. Horny goat weed’s active ingredient is icariin, an extract of the epimedium plant. It helps treat high blood pressure, fatigue, and low libido in men and women. Saw palmetto fruit cures benign prostatic hyperplasia while promoting a positive erectile response. Our testosterone supplement is a balanced mix of the supplements you need. Our male enhancement formula contains a vibrant combination of minerals, vitamins, and amino acids for a healthy sexual drive. It contains tongkat ali, maca, l-arginine, and a ginseng blend designed to give men their libido back. Tongkat ali helps promote sexual drive and reduce fatigue. Maca helps improve sperm production and increase fertility in male. Ginseng is found in many energy drinks, but the Chinese tonic increases testosterone levels, promotes healthy mood, stamina, and strength. Purchase the best male enhancement products in bulk at a lower cost. We have low minimum order requirements and volume discounts for large orders. BioThrive Sciences offers quick turnaround times, and we have custom formulations available for all our customers. If you need any other supplements, we offer a wide range of products. Whether you need sports nutrition, dietary supplements, general wellness, and anti-aging products, we can help you find the right supplements. Contact us online for help. Feel free to give us a call at 844-263-3657 for a free consultation.